The Land Trust’s Saddleback Mountain land. 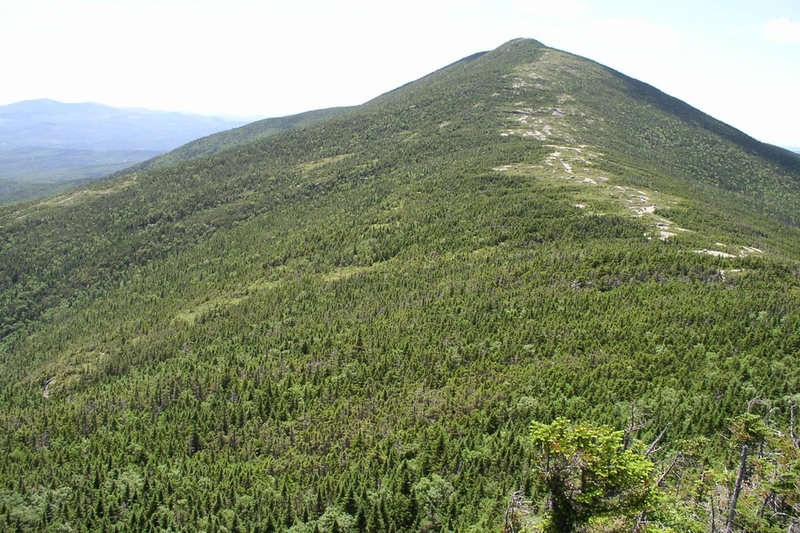 The Maine Appalachian Trail Land Trust conserved the mountain opposite Mount Abraham in 2004 – Saddleback Mountain – with the help of Appalachian Trail Conservancy and other partners. 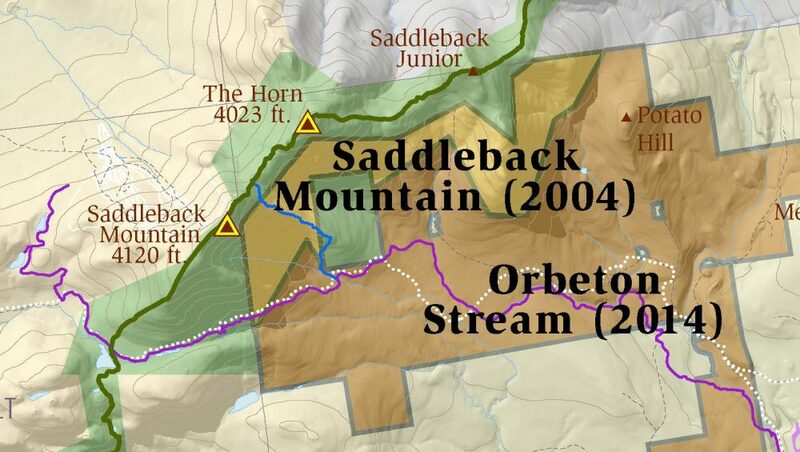 1,211 acres on the south and eastern flank of the mountain are owned by Maine A.T. Land Trust, and this land provides a valuable buffer for the Appalachian Trail corridor for about eight miles and the three-mile alpine ridge from Saddleback to The Horn. To the south lies the Orbeton Stream conservation easement area. The property ranges in elevation from approximately 2,200 feet to about 3,800 feet (and treeline) and is thickly forested. Though the land is open for recreation, it is primarily accessed by the Berry Picker’s Trail and by snowmobile/ATV via ITS-84, which crosses the extreme southern tip of the parcel. The spruce-fir forests on the mountain are excellent habitat for moose, bear, Canada lynx, alpine bird species like Bicknell’s thrush, and more. Saddleback Maine (the ski area) is on the northern/western face of the mountain, on the other side of the Appalachian Trail.